Just as tastes change over time, so do recipes — even the humble brownie. 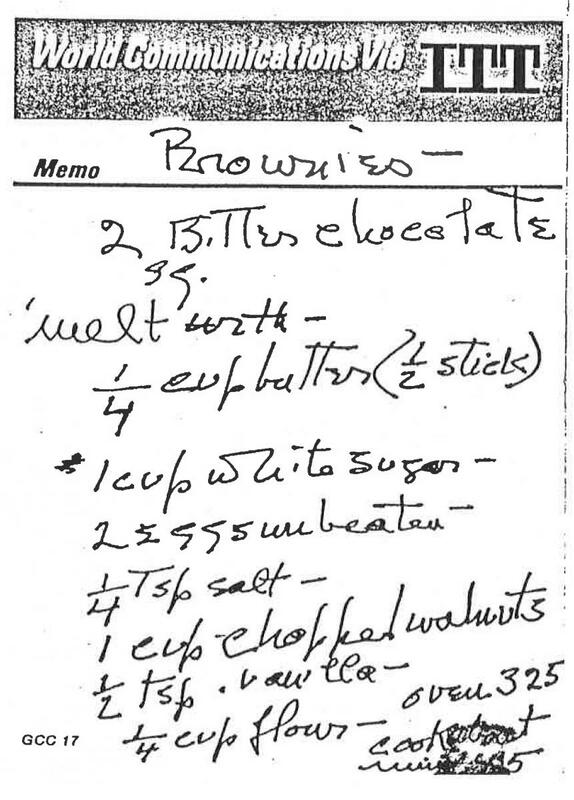 The original 1896 publication of The Boston Cooking School Cookbook by Fannie Farmer included a recipe for “Brownies,” but with molasses instead of chocolate! It was essentially what we would refer to today as a “blondie.” By the 1930 edition, two brownie recipes appeared in Fanny Farmer’s cookbook, and their order showed the preference of the time — with chocolate in the lead. That version bears only a few similarities to Katherine Hepburn’s brownie recipe, even though they were probably made in the same era. With the evolution of recipes, the way they’re passed along also has a huge impact. We’ve probably all come across an old recipe scrawled on a scrap of paper or index card, ink faded and smudged with grease. These often bring back fond memories of special dishes made by friends or loved ones. But the frustrating reality is that trying to recreate these recipes is like trying to put together a faded puzzle with missing pieces. The ingredients or amounts may be abbreviated in unfamiliar ways. Steps in the procedure may be out of order, or left out entirely assuming the reader just knows what to do. Sometimes, your assumptions work out alright, but often the cryptic formula doesn’t produce the results you remember, or anything even close. So what do we do when we really want to recreate those fond food memories? We adjust, adapt, and update the recipes for today’s ingredients, equipment and, of course, tastes. 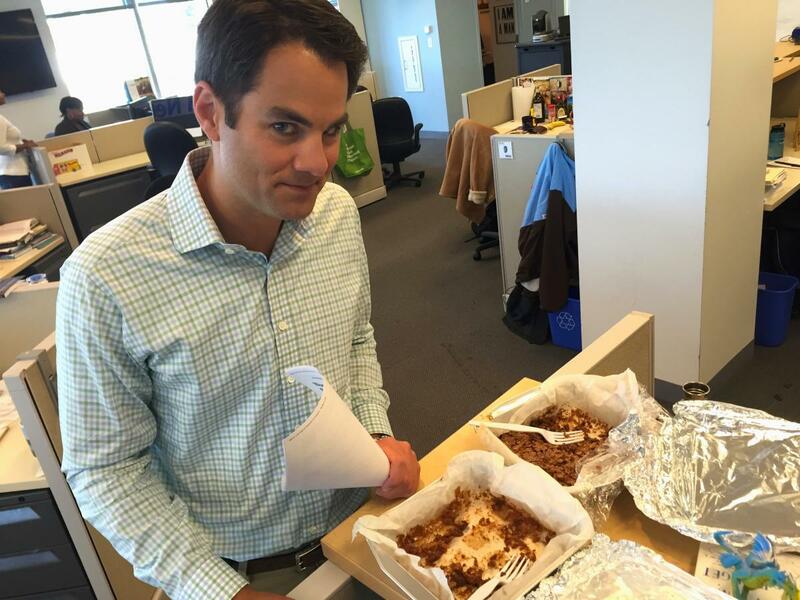 That’s what Catherine Smart and WGBH arts editor Jared Bowen did with Katherine Hepburn’s brownie recipe. After translating the handwritten formula (Katharine Hepburn's, that is), they set out to update it for a modern palate, with bourbon, toasted nuts, and sea salt. It’s still a simple recipe, but taking the time to toast the nuts and add some bourbon brings out a quality that’s worth a little extra effort. There’s no wrong answer. Just delicious brownies. 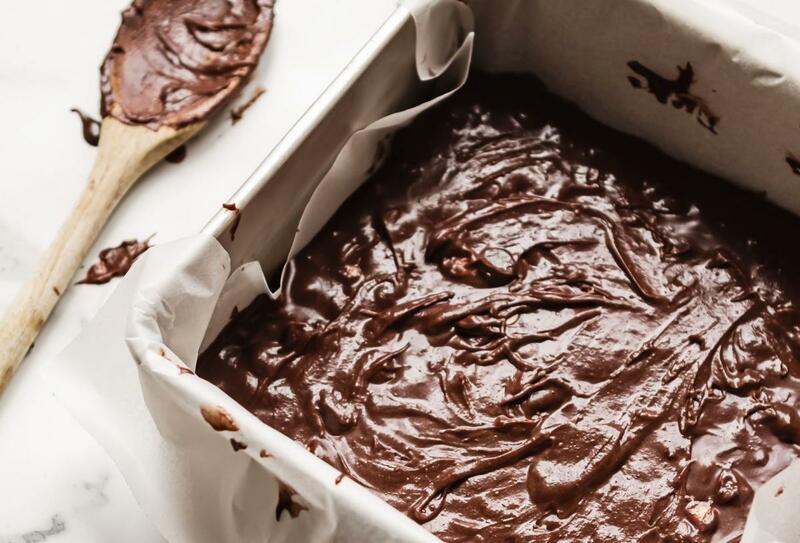 Line a 9x9 inch pan with parchment paper, leaving an overhang so you can easily remove the brownies. Grease the parchment with butter. In small saucepan over medium-low heat, melt the butter and chocolate. Set aside to cool. To the cooled pan, mix in sugar, eggs, salt, walnuts, vanilla and flour. Stir just to combine, being careful not to over mix. Transfer the batter into the prepared pan and bake for 30 - 35 minutes. Toast the walnuts on a sheet pan in the preheated oven for about 7 minutes until fragrant, being careful not to burn. Add 2 tablespoons of bourbon (your choice) to the brownie mixture. After pouring batter into the pan, sprinkle with 1/2 teaspoon of sea salt (such as Maldon) prior to baking. It's delicious.